During my years of teaching French in the Netherlands, I realized a terrible thing: the traditional or even modern teaching does not always correspond to all students. Some students have big problems with school learning that revolves mainly around the book, and is still too grammatical. These students suffer from such a teaching that does not suit their way of learning. I then tried to find a way to teach and learn a foreign language that is as close as possible to the natural learning of a mother tongue. Learning a native language is certainly a long learning, but it seems easy and in no way painful. I have looked for alternative methods that could reproduce as closely as possible natural learning in non natural situation. I have tried with some success the method of James Asher, the Total Physical Response (TPR) where the learner sees, listens and redoes what the teacher does and says. I was interested in Wendy Maxwell’s method, the Accelerative Integrated Method (AIM) which also uses gestures (more coded) and which, in some ways, approache a natural learning. I also discovered the work of Stephen Krashen and his hypothesis of the comprehensible input that seems obvious after the fact: in order to learn a foreign language, the learner must understand it as much as possible; what he sees, reads, must be as clear as possible. In this way, the language (its words, its structure, its grammar, its pronunciation) is integrated by the learner because it makes sense, and this in a natural way. At the Montessori College where I work, I have tried to integrate this ‘comprehensible input’ in the margins of the usual courses. 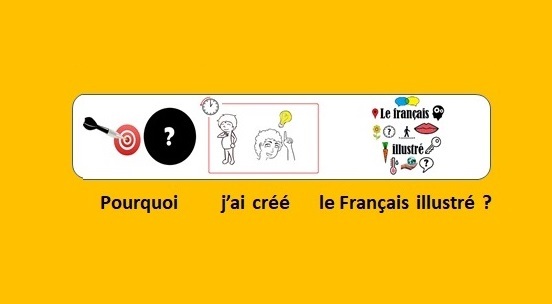 As part of an optional course, I created a system of understanding written French supported by illustrations: each word or group of words was illustrated in such a way that French was understandable. At first, the students read the illustrated French several times. In a second step, to show that they had understood what they had read, the students had to translate the French, not into the mother tongue, but with the illustrations provided. 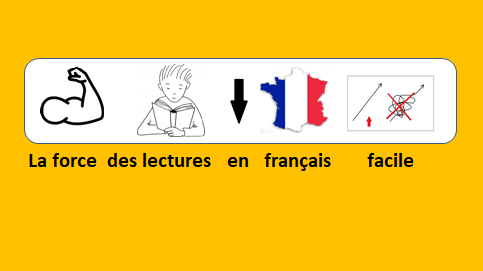 In front of computers and thanks to a word processor software, they could easily select the right illustrations with the mouse and put them in the correct order to show that they had understood the proposed French. Many students out of focus in normal time were hanging on their computers for a good hour. 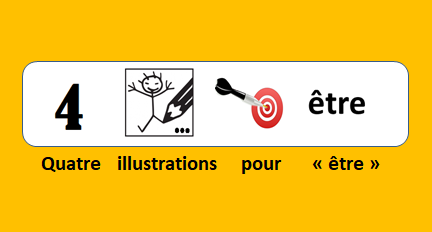 Then I got the idea to make with this initial Français illustré an application for smartphone. But I realized that what I had in mind was asking too much money for my wallet. Rather than give up the idea of a new Français illustré beyond the doors of my school, I thought about it and found the idea of turning it into videos on a Youtube channel. What I did: the first video was made with just my laptop and this video was published in november 2015. Gradually, while publishing a video a week, I wanted to continue the transformation of the idea of the Français illustré by offering more than just videos. June 2018, I created the website to offer online exercises from the videos to increase the learning offer. Article suivant ¿ Por qué creé el Français illustré ?